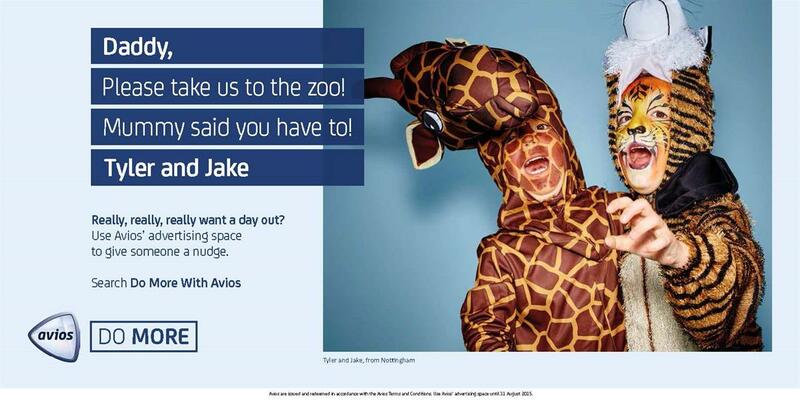 If you have a friend who collects Avios points, you can create a personalised ad that follows them around the internet and urges them to spend their air miles on you, thanks to a new campaign from the company. 101 created the activity, which launched on 27 July and will run for three months. It comprises banners and press and outdoor ads. The work was created by Tim Donald, Misha Newby and Aurora Straton. +Rehabstudio developed the microsite that enables people to create ads for Avios customers.